Photo - User Apacheeng lead, Creative Commons Attribution Share Alike 3.0 Unported license. Laurence Howell - "Flo" (Rothera / Faraday 1978-83) - Tanggu, China. Jonathan Walton - Bases KG, R (Fossil Bluff / Rothera) (1974, 1975) - Shrewsbury, England email Son of Kevin Walton (Stonington 46,47). Winters & 9 summers down South between 1973 & present. Father, Godfather, 2 brothers-in-law and cousin also have wintered South. Still very actively interested in Antarctic matters. Tim Allerton (1983 - 1984) - London Hi I spend 83-84 on Bransfield and Rothera base as Electrical engineer would like to get re-connected with any of the team from that era. Andy Carter (1984) - Lower Tean, Stoke on Trent Was with the Air Unit 84 and 85. Had a great time and met a lot of good people. Andy Denley (1979-81, Rothera and Faraday) West Hoathly, Sussex I was a mere lad of 19 when I arrived as a green WOM at Argie. My parents hardly recognised me when I got back after after two summers and winter away. I got the impression at first they would rather I went straight back! Grand times. Possibly the best job I ever had. Andy's book "You don't have to be tough to be rough" is available from Amazon, profits to Sussex Cancer Relief fund. 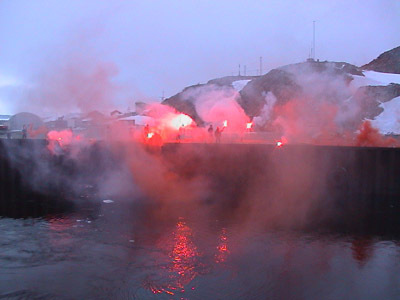 Tim Godsmark (1980/81) - Buckley I wintered at Halley Bay in 1980 and Rothera 1981. 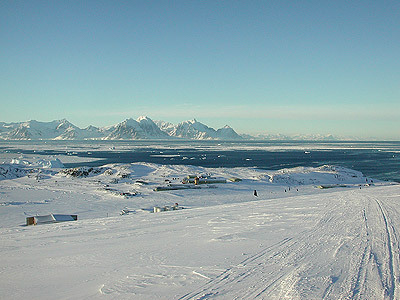 Happy days at Rothera despite the accident etc. I miss those dogs! Hello to anyone who new me. David Jobes (1985) - Malaysia. 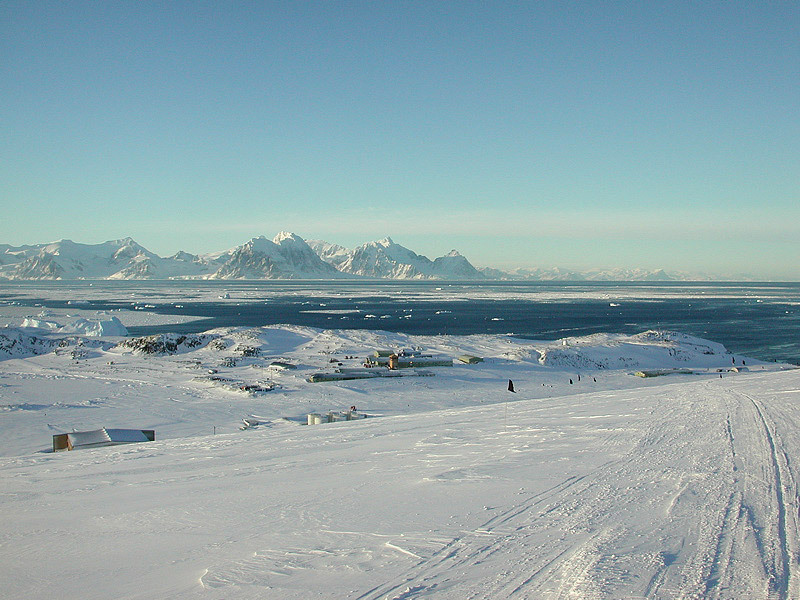 I spent some time at Faraday before wintering at Rothera during the rebuild in the 1980`s. I work in the oil and gas industry now and I am currently living and working in Malaysia as an electrical commissioning engineer. Alastair Milne (Metal) (1984-1989) - Den Haag (NL) email 2 summers working E.Coast Graham Land then a summer on Polarstern. Now working for Shell. Neil Richardson (1986) Kendal email Glacier fluctuation mapping 1986/7 around the Peninsular. Now running Spatial Data Ltd Chartered Land Surveyors. Three chidren and hoping to get back into sailing soon. Please get in touch if you remember me. Rupert Summerson (1980-81, 1983-86)- Canberra, Australia I also worked for the Australian Antarctic Division from 1990-1995. Paul Davison (1994/1995) - Shrewsbury, Shropshire - email Still the best view I've had from an office window. Kevin Dixon (pee wee) (summer 1990-91) - Sherbrooke, Quebec, Canada Worked on installation of airport strip & hangar project. John 'JJ' Jones (1994/95) - UK / Turkey Construction Worker for Summer season. Genny Shed, Boat Shed, Water Treatment Room, Concrete bases for Bonner Lab and Accommodation block. After the birth of my son, Antarctica, the next best 'Sight' in my life. Thanks to BAS. 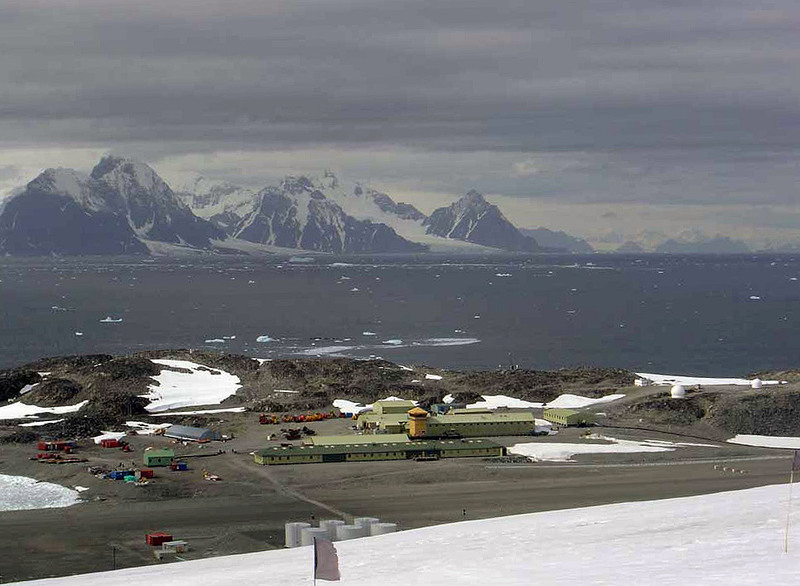 Geoff Knox (Faraday/Rothera - 1992-93 summer only) email Plumber on Faraday, general base assistant on Rothera. Married with two young boys, now working as a sports journalist. Pedro Montiel (Signy / Rothera - 1994/5, 1998/9) - London I'm not absolutely certain of the specific years as I I arrived around October and left by March. David Wilson (1990-91) - Southampton email Vehicle mechanic who wintered from 1989 to 1992. Jo Coldron (2005) - Cambridge email The doctor at Rothera Station over winter 2005. Eirian Jones "Sbonge" (2002/3) - Aberystwyth Summer plant operator on base, dying to get back to Antarctica. 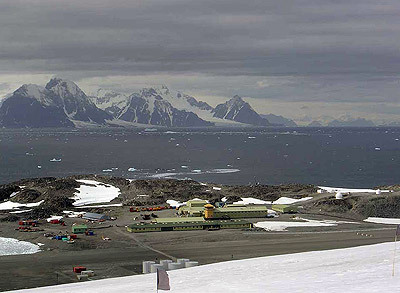 Tony McLaughlan (Tony Mac) (2009) - Rothera I finish my winter tour in March, when I shall be going home to Luton, Bedfordshire, England after the most amazing and memorable 16 months in Antarctica. Cath Waller (Rothera, HMS Endurance - 2003/2004; 2004/5; 2007/9) - Scarborough N.Yorks 2009 worked with Spanish on Byeres Peninsula of Livingston Island. Ludger Zikking (Rothera 2017 and 2018) - Amsterdam the Netherlands Worked as a genny mech during the summer on Rothera.